I really should bump Glass and add Walton. I wonder if that was the one they broadcast...? What I remember from that broadcast was that Ms. Chung's tone was so powerful that in a number of places she swamped the orchestra! Cleveland concerts were broadcast nationally back then. So, yeah, it might have been that concert you heard. I do believe, though, that program was taken to several cities, including, possibly, Pittsburgh too. It was a tour celebrating Walton's 70th birthday. He was in the audience; came out for a bow at the end of the evening. No, it was the Tchaikovsky that we share as a favourite. Do you ever listen to Schumann's music? I do listen to Schumann, but rarely listen to the Violin Concerto. The Korngold Violin Concerto is starting to really take ahold of me. There's more depth here than I realized before. Favorite performance of this concerto right now: Ehnes/Tovey. Love that Concerto, and performance. Got to hear Ehnes perform it live a number of years ago. Yes, indeed, Ray. Who was the conductor/orchestra whenever you saw Ehnes? My Winnipeg Symphony Orchestra, with WSO conductor Alexander Mickelthwate. Very nice. Do you remember what the rest of the program was per chance (just out of curiosity)? Hah! I know you have had a love/hate affair with Richard Strauss. 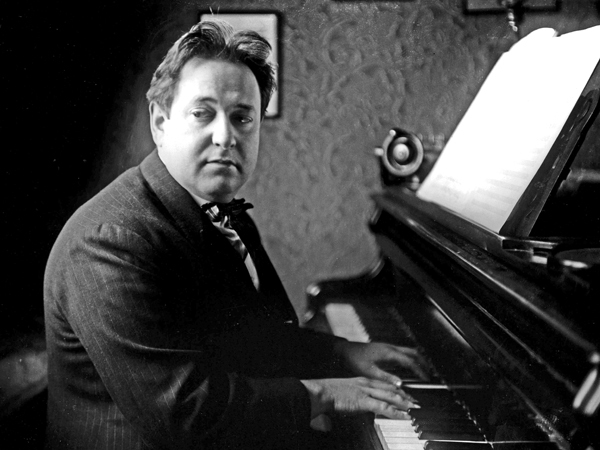 A pair of Strauss works (Also Sprach Zarathustra and Till Eulenspiegel’s Merry Pranks) accompanied the Korngold Violin Concerto. The concert was in the Fall of 2008. It is a gorgeous work. I loved it instantly. If you need more information on the topic, I could recommend my gratuitous encyclopedia e-book "The 20th century violin concertante" from my website www.tobias-broeker.de. And if you have questions about recordings or specific works, just frop me a line. I certainly didn't like Strauss much back then but I do now of course. I'm sure that was a good concert. Love those two works as well. The only changes I might consider is adding Prokofiev 1 and Britten to this list. However, I don't think I could remove anything from it. The only one concerto that I can call great is Kchachaturian violin concerto. In Russian music I single out also Anton Rubinstein's violin concerto. In Western music - Mendelssohn e minor and Ferdinand Reis violin concerto. Sibelius concerto in it's first version is a unique and interesting work, it's a pity that he made the revision. Oh, I should have chosen Respighi's Concerto Gregoriano - a lovely work which, when I first heard it on the radio, thought must be by Finzi. Castelnuovo-Tedesco's 'Prophets' violin concerto is another inspired choice.